Welcome to Integrity Healthcare Professionals, LLC. We service rural and semi-rural hospital emergency departments in southwest, southeast and south central Kansas. We pride ourselves by providing outstanding medical professionals that will not only treat you and your family as their own, moreover, you will receive the same care you expect in top notch medical facilities in larger communities. You should never have to compromise your care or any of your family's health needs, based on where you live or where your emergency occurs. Our mission is to provide staffing solutions for emergency rooms, clinics and hospitals with highly motivated, experienced medical providers that practice with compassion and integrity. We aim to educate our patients in a safe environment while offering them optimal treatment for their disease and/or illness and options for necessary follow-up. Our team is comprised of some of the most competent, humble, caring professionals in the industry. By combining the latest technology with evidence-based medicine, we are able to offer our patients excellent care. That is what we expect and so should all that present to one of our facilities. Dr. O'Donnell believes in emphasizing a whole-person approach to treatment and care. He decided to partner with Eric to form a company that could provide top-notch medical services in all areas across the state. The co-founders assembled a team of the most qualified practitioners in the area and are successfully providing the care they think everyone deserves. 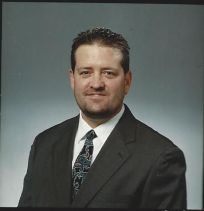 Eric graduated from Wichita State University Physician Assistant Program in 1998. He went on to work in the Emergency Department in southeast Kansas with a census of over 10,000 visits per year for 17 years.While working full-time in the ER, he worked part-time and PRN in several family practices; trauma-critical care at a Level 1 trauma center, urgent care and ER in 3 different ERs in Wichita, and general practice in a rural community in southwest Kansas for over 8 years. Eric decided to organize his own medical staffing company to reach those seeking optimal healthcare, no matter the location or lack of resources. Dr. Madril is a vibrant, energetic physician with nearly 10 years of full-spectrum family medicine experience. She recently transitioned from her full-time practice in rural Kansas to become a hospitalist/emergency physician, in order to accommodate changing needs in her life. Her MIT education, her PhD in human biochemistry and her fellowship studies in Functional Medicine have prepared her to present a unique perspective on complex issues and to tirelessly seek alternative avenues to reach optimal solutions, while maintaining a respectful and down-to-earth attitude. This outlook has made her a favorite among her patients and peers. Nik has years of experience under his belt. 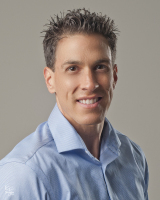 He now works as a Clinical Associate Physician Assistant with Integrity Health Care Professionals. He enjoys being an intricate part of a team that provides a much needed public service. Nik loves that he is able to work hands on with patients throughout the state and impact their health in a positive way.